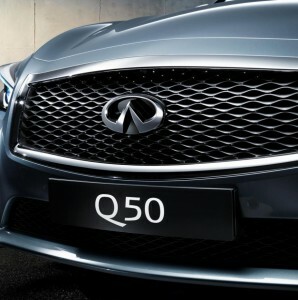 Infiniti are releasing a version of the new Q50 specifically-designed for business users. On sale from mid-November, the ‘Executive’ will be equipped to suit higher-mileage users with an advanced satellite navigation system and a ‘highly-competitive’ finance package. Available as Executive and Premium Executive, with either manual or automatic transmission, the pricing starts from £29,870. However, the vehicle can be leased under contract hire from £299.99, plus VAT, per month. Meanwhile, the Q50 Premium Executive with satellite navigation, heated and powered leather seats with memory and I-Key, costs from £33,470, or £336.99 per month under contract hire. Hannah Bishop, Fleet Manager at Infiniti UK, said: “A car of this size, power and standard specification for under £300 a month (plus VAT) is a very attractive and competitive proposition for the business user. The Infiniti Q50 Executive’s 170PS 2.2litre four-cylinder diesel engine achieves 0-62mph in 8.5 seconds, while offering 64.2mpg consumption (manual transmission).